The Google Nexus S 4G has finally made its way to Sprint on Mother’s Day. You might think the Nexus S has lost its charm, but it is still one of Google’s favorite device to launch the latest updates. So bear in mind that when you get a Nexus S, you’ll practically be the first person to receive the updates followed by other Android counterparts. So you might as well head up to the store and get one for yourself now. And also, the Nexus S is one of the very few devices that doesn’t come with a custom UI of any sort, instead you get a plain and full Google experience. It is also being said that this device will be the first to get Google’s upcoming Ice Cream Sandwich update, so there’s more than one reason to purchase this handset. The Google Nexus S features a 4-inch Super AMOLED display with a resolution of 480 x 800, a 5 MP camera on the back with a front facing VGA camera for video calls, a quick 1 GHz processor with 512 MB of RAM, Wi-Fi, Bluetooth, Android 2.3.4 and will be NFC enabled. 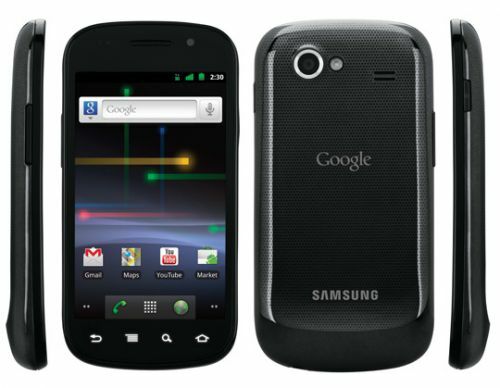 Sprint offers the Nexus S 4G for $199.99 on a two year contract and if you want to purchase the device without any contract you can get it for $549. Best Buy however offers the phone for $149.99 on a two year contract, which is very reasonable compared to Sprint’s prices.